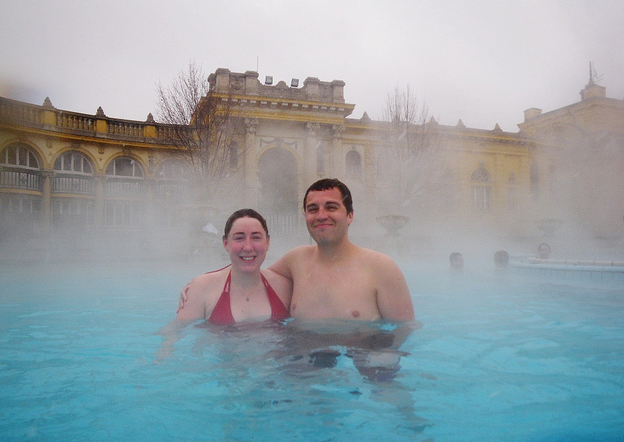 There are many things to do travel books suggest, but what about some really fun things to do in Budapest? 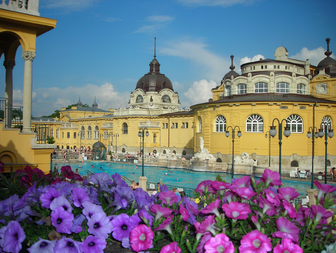 Relax and enjoy the fun baths and pools of Budapest: a big whirlpool in the outdoor pool of Szechenyi Baths will definitely put a smile on your face. Not to mention the fun slides and pools in the water theme parks (AquaWorld and the Water theme park in Mogyorod near the Hungarian Formula 1 Grand Prix race track), or the cool open air lido called Palatinus (with lots of green on the Margaret Island). Take a fun ride in quirky vehicles: the nostalgic underground (M1 yellow metro line) stems from the 19th century and is fun and unusual. The ex-pioneer train in Budapest (now ‘Children’s Railway’) is both fun and relaxing. Odd communist vehicles are fun to try: take a ride in a cardboard car called Trabant, or any of the old fashioned prestige cars of the 1970s and 1980s behind the iron curtain (Wartburg, Lada, or the communist Smart car, the Fiat). Bobsleigh? No problem! Dodgem? Of course. Bike carts for groups? Pedal your holiday into fun on the Margaret Island. 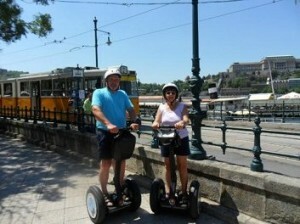 Segway? 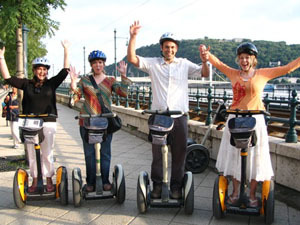 There are daily tours on Segways in Budapest. Beer bike? Yeah. Literally pedal and gulp your beer (no worries, you have a driver with you!). Fun Tours in Budapest: taking a wine tasting tour is a guaranteed fun, but there are more tours to cheer you up and challenge you: caving tours, communist tours, pub crawling tours, Budapest boat party, etc. 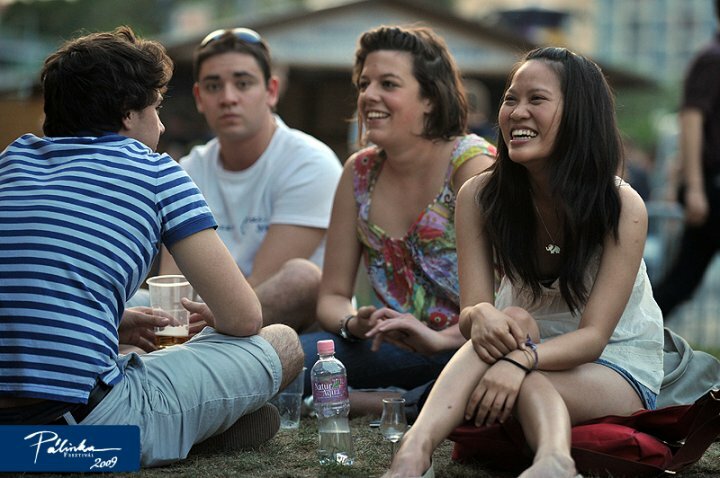 Fun Budapest Festivals: some want to see funny performances, enjoy Hungarian palinka, wine or beer, visit a yummy Chocolate Festival or the meat paradise Mangalitsa hairy pig fest, or immerse in the multicultural deep vein treatment of the übercool Sziget Festival – we all have an idea about what makes a holiday truly fun for us. 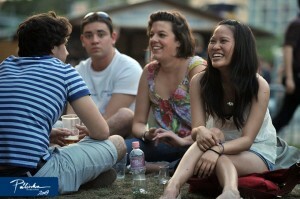 But one thing is sure: Budapest has 2-4 festivals each month all year round, which are well worth a visit. 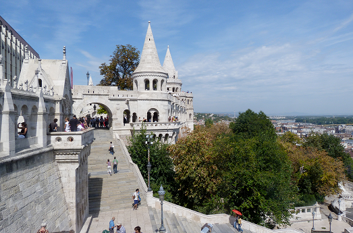 From railway enthusiasts to cosplayers, from opera goers to pub aficionados, from oldtimer racers to jazz fans – all niches can find their own cozy places and events to enjoy in Budapest, Hungary. 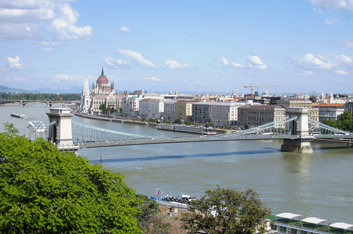 All you need is a little help when planning your Budapest visit. Music and Fun in Budapest: from toddlers through teens to mature adults, Budapest always has a lot to offer for those who love music and fun. Children concerts, karaoke parties, folk dance houses to get you to sing and move your leg too, metal, jazz, hiphop, goa, world music, indie rock, punk, opera? 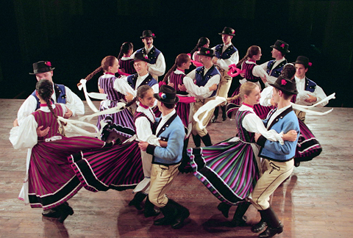 Budapest caters for all music styles for a thorough entertainment. Just figure out what music makes you feel exhilarated, or opens you up. Winter may be the gloomiest time everywhere in Europe, but winter can be fun too! Ice skating in the City Park, getting a hot steaming bath in the open air at Szechenyi Baths, sleighing, enjoying the fun Budapest Christmas markets, or Hanukkah, popping the cork on New Year’s Eve at Budapest NYE Parties or on a special Budapest New Year’s Eve Cruise, steering the love sledge into a funny Valentine’s ride, enjoying winter festivals in Budapest makes freezy, chilly months in Budapest an unexpectedly great travel destination. 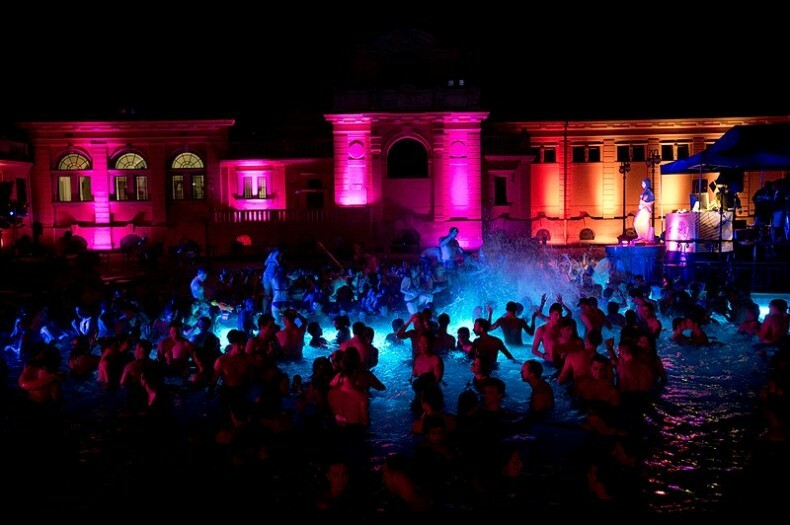 So can winter be fun in Budapest? We say YES!